Dr. Nishtala was born in Vizag, India, and grew up in rural Illinois. She attended The University of Chicago, where she graduated with honors in Neuroscience. She completed her honors thesis on better identifying influenza vaccine constructs using microarray technology. Her focus on health equity led her to form a college wide organization of students and physicians to volunteer in Honduras and Ghana on medical service trips in an effort to train and build sustainable and affordable health systems abroad. She expanded on this work at Case Western Reserve University School of Medicine where she advocated for better health policy and helped insure thousands of patients in Northeast Ohio. 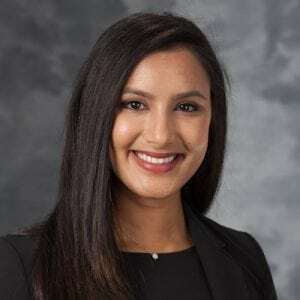 She became interested in surgery while completing several outcomes projects with excellent mentors in trauma, colorectal, and cardiothoracic surgery. In residency, she aspires to combine her interests in health policy and outcomes research to better understand and target health disparities. In her free time she enjoys hiking, travelling, cooking, and becoming indoctrinated into Wisconsin sports!